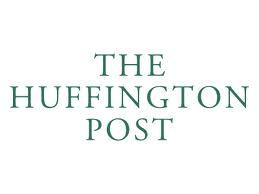 I am happy to say that my short story “We” has been published today in the Huffington Post. Click here to read it, and let me know what you think. While there, please click the “Like” button if you feel inclined. Who doesn’t like a “like”? Last week I flew to New Orleans for a meeting and at the airport was met with weather, inky broody weather that more and more terrifies me in all its emerging manifestations. New Orleans, of course, has still not recovered from the devastation of Hurricane Katrina, one of the deadliest natural disasters in US history, so it was with images in my head of death and dying that I hauled myself into a taxi, sat myself down with a thud, and declared, “I DON’T TRUST NEW ORLEANS WEATHER.” As if New Orleans and the cab driver were responsible for it. Immediately I was ashamed of myself and stared at my hands for the rest of the ride. Later, I found myself thinking about Leiningen Versus the Ants, a short story I had read in the 5th grade—and one that has always remained with me because it was the first time I became aware that you could mine a story for meaning. It was through this piece of fiction that I learned “man versus nature” was an important literary theme, or at least important to some. In this particular case, Leiningen triumphed over nature, and we readers felt pretty smug. It’s an old, old story, the one that has us believing we have “dominion over the fish of the sea and over the fowl of the air and over the beasts and over all the earth and over every serpent that moves upon the earth, ” but I attribute the beginning of my false sense of primacy to that ghastly ant/man tale.